As soon as you are arrested for DUI, act promptly. Do not assume that you will be convicted or that your situation is futile. As soon as you are arrested for DWI in California, the Department of Motor Vehicles and a prosecutor for the state will take aggressive action against you. You’ll need immediate legal help, so you’ll need to call an experienced Orange County DWI lawyer. The right DUI defense attorney will investigate the details of your case, represent you at all of your court appearances and at the DMV, and negotiate with the judge and prosecutor regarding your DUI charge. You should choose an experienced attorney who focuses on DUI cases. It’s also important to select an attorney you like and trust, because you’ll be working together on something vitally important: your freedom and your future. 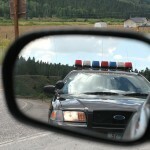 Why do you need a DWI attorney? The first possibility is that you weren’t actually impaired when you were stopped and arrested. If you plead guilty, you’re telling the judge that you were driving under the influence. But maybe you weren’t. It’s possible that the breathalyzer wasn’t calibrated accurately or that the stop itself was illegal. These are only several of the possibilities. What’s more, if you plead guilty to a DWI charge in California, you’ll pay court costs, steep fines, and face a suspension of your driver’s license and higher auto insurance rates. Although convictions are common in DUI cases, you can also win a DWI case in southern California. Good attorneys win a surprising number of cases for their DWI clients in this state. A skilled and experienced Orange County DWI lawyer can save you time, money, and a great deal of grief. If you are charged with DUI in Orange County now or in the future, make the call immediately.